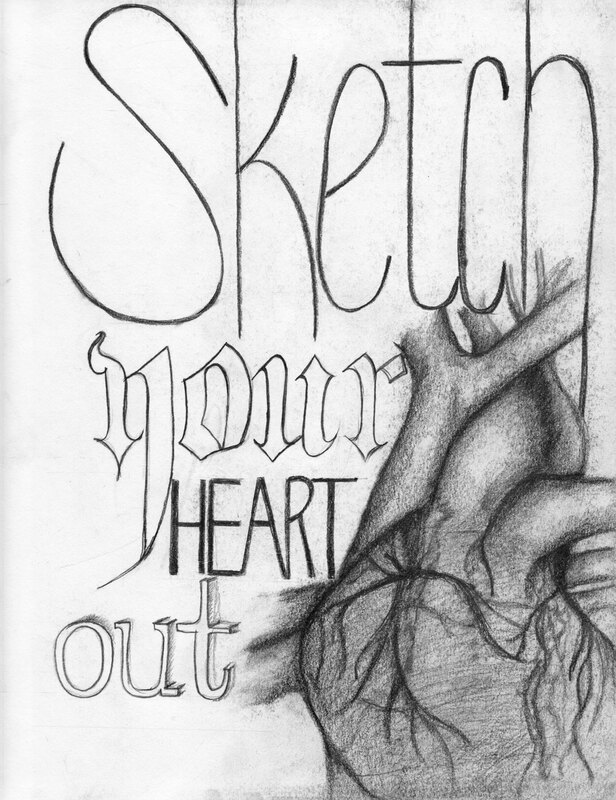 sketch your heart out - Excuse me, your aorta is showing. . . 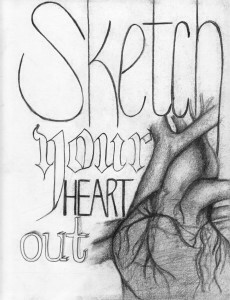 If I were to be completely honest, I would admit that I started this project because I needed a way to cope. I needed a way to figure out what had happened, to make sense of who I was being in the midst of it all. The mixture of possibility, excitement, jealousy and grief was all so new to me. I was looking for something to believe in at its end. I was uncomfortable with not having control over my feelings, of my own recovery, of those bad (non-illegal drug or alcohol related) habits. But alas, in the last few months, I’m learning (and am still struggling to accept) that there are very few external things I can control. The weather? Nope. Other people? Nope. The Canucks? Definitely not – I’ve cheered my heart out and tried many tactics, but alas, no dice. What I’m learning is the old cliché of letting things be, because time will heal what reason cannot. The only thing I can really work towards is how I continue forth. Right now, I’m getting there. I’m starting to refocus on the things that matter to me, have been spending time doing things I enjoy, putting time into activities that elevate me rather than bring me down. But I don’t feel this way all day everyday. I still have moments where anxiety takes over and all I can do is analyze what I could have done, what I didn’t say and think about why am I not where I’m ‘suppose’ to be, or that I must not be working hard enough if it is happening to someone else and not to me. So. I suppose that, my mission, if I wish to accept it (still working on that) is to take life as it comes- to untangle that pesky habit of worry, as nothing really really good and nothing really really bad last for very long. In the interim, I’d like to share with you a song that is considered ‘old’ by today’s pop culture standards, but one that I still listen to time and time again.